It’s Vesak Day and in my usual overscheduled way I decided to pack my day full to the brim (hey I work a full-time job – even time off is scheduled! Got up at the crack of dawn to go to do ward rounds, discovered that my good AC had already done them (thanks JL!) then trotted off to Jurong Bird Park with S and got my vitamin D’s worth (SUCH a hot day…). Had a late and somnolent lunch at Soup Restaurant then decided that I needed something sweet to end off. Egg tarts are dime a dozen in Chinese dim sum restaurants and they are literally everywhere in Singapore. But nothing beats a fresh egg tart straight out of the oven and it’s the perfect accompaniment for afternoon tea :-). Hong Kong egg tarts are usually made with a shortcrust pastry as compared to Portuguese egg tarts which are usually made with puff pastry. Portuguese egg tarts also contain condensed milk and have a higher sugar content, and usually have a scorched and crinkly surface while Hong Kong egg tarts are almost mirror-like on the surface. Doing the egg tarts was a surprisingly easy and quick process. The main hold up was trying to unearth the tart moulds from somewhere in my cupboards…which just tells me I should do tarts more often. Truth to tell I was never terribly good at doing regular tarts and having to do a flour-free low carb version intimidated me. But it turns out that it wasn’t too bad after all and the tarts got made in less than an hour. Two thumbs up for an easy afternoon project! Place almond flour and salt and sugar substitute into blender and pulse briefly. Add butter and egg and pulse until mixture forms a ball. Bake the tart shells for 8 – 10 minutes, then remove from the oven. Combine sweetener and water into a medium saucepan and bring to a boil. Cook till dissolved, then cool down to room temperature. 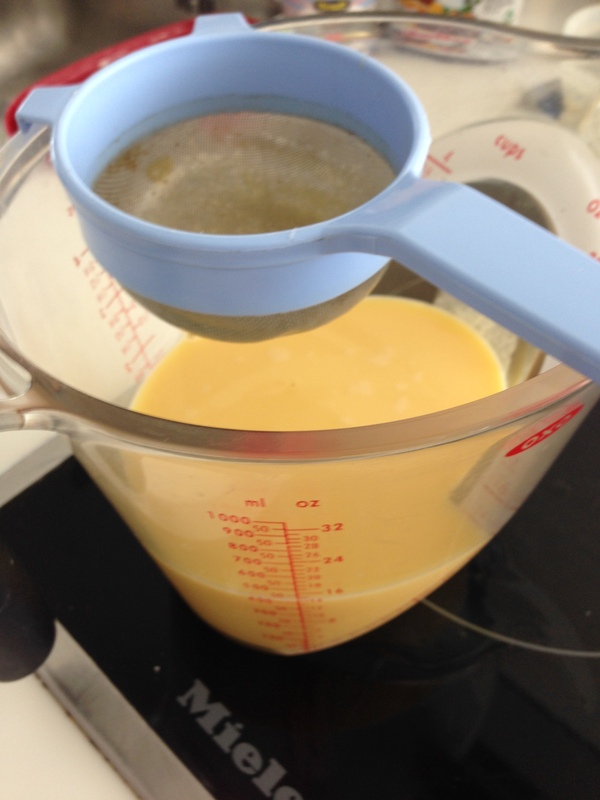 Strain the eggs through a fine sieve, then whisk in the sweetener mixture. Stir in milk and vanilla essence. Strain again and fill the tart shells till about 80 – 90% full. Bake for 10 – 12 min in the oven. Watch out for puffing of the filling as this may mean that the oven is too hot. Open the oven door slightly and bake for another 5 minutes. Test the custard’s doneness with a toothpick. i tried this today with a 7in tart pan and substituted with unsweetened cashew milk for the filling; turned out wonderfully and definitely filled the dan tat void in my life! thank you!! Awesome! Cashew sounds amazing and I’ll try that myself sometime, thanks! Which part are you having problems with? The tart shell or the filling? Then it may be an oven temperature issue, or perhaps you may want to bake longer especially if your tart cases are bigger. You may want to get a stand alone oven thermometer and check what temperatures you are actually achieving in your oven? It’s literally now just liquidity. Was I supposed to has done something to thicken up the mixture at some point before pouring it into the crust?? No. As long as you have enough egg in the filling the recipe will work. Did you also do baking time with oven door slightly ajar? You may want to do that extra 5 minutes without opening the oven door as I suspect your oven may be underheated. Okay so I just realized that there is one thing that I forgot to mention; might be the reason why. I didn’t have tart pans so I used one big pie crust pan instead. The normal sized one. How long would you recommend baking it in that case? Oh in that case it is very different. I’m not sure if the big pie pan will work at all as these egg custard tarts are actually quite small and delicate. 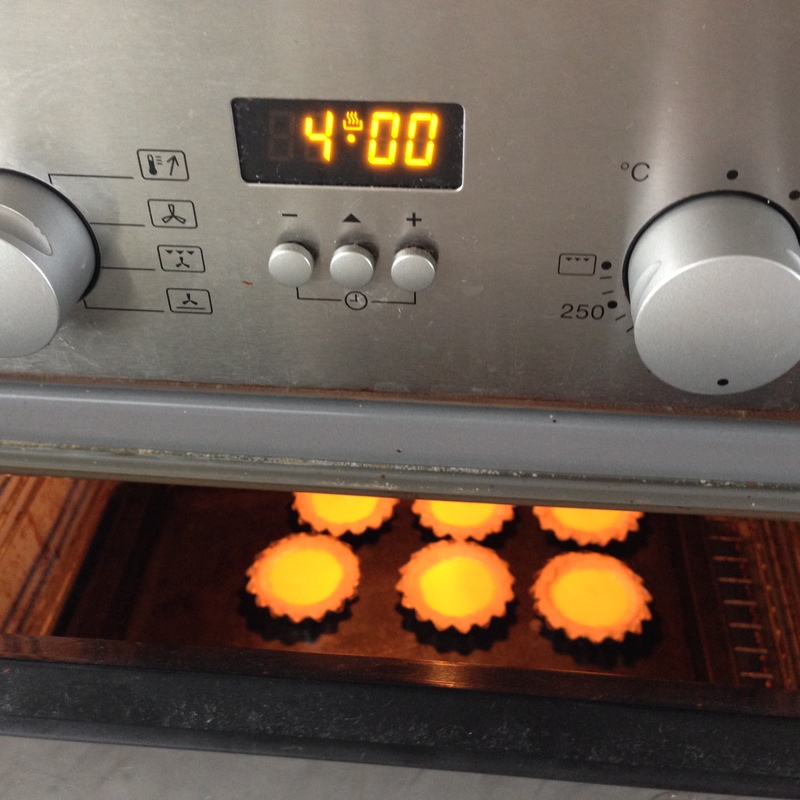 When I’ve made quiche for example it takes 1/2 hour – 45 minutes. Chinese egg tarts are pretty light and the egg content is relatively low and the tarts are meant to have a smooth mirror like appearance and I’m not sure if a large tart pan would work. It’s ok! I went through a tough and prolonged phase mastering tarts and after a while it does make sense. 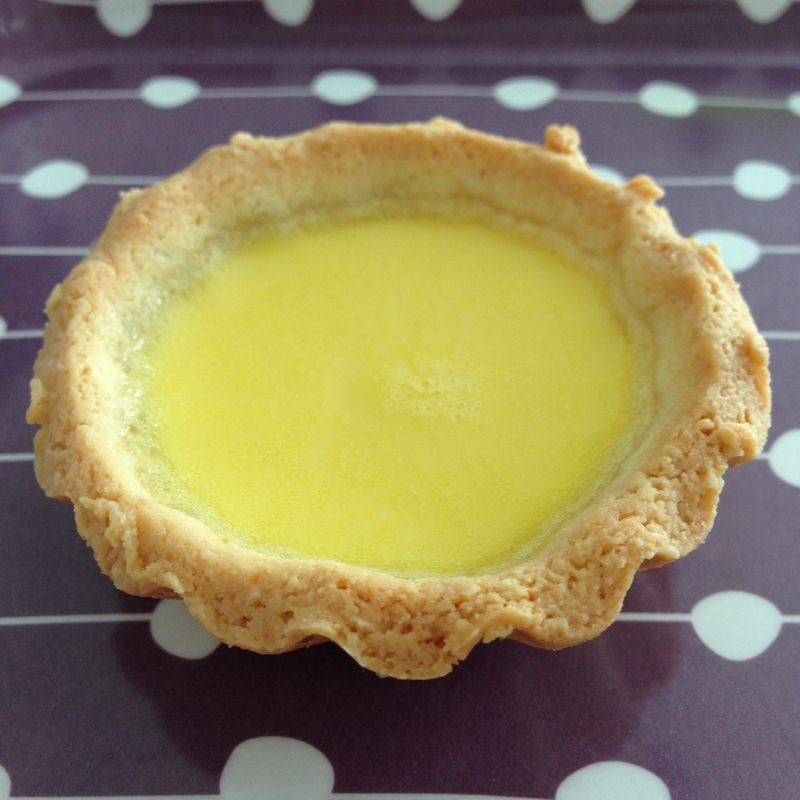 I think you can get cheap small tart cases in places like Chinatown – it’s worth trying this again! No worries! Trust me, I don’t give up very easily! I’ll still find a way to enjoy it how it came out and salvage as much of it as I can. My ultimate goal is to become a chef who specializes in keto friendly meals, so I’m in my experimental phase. Any tips for doing this without a blender? Definitely want to give it a try. Yes certainly! The tart crust can be made with a pastry cutter or even 2 knifes for mixing!